In 1930’s ethylene polymerization under high pressure with organic peroxide initiators are discovered at ICI and this led to commercialization of LDPE . 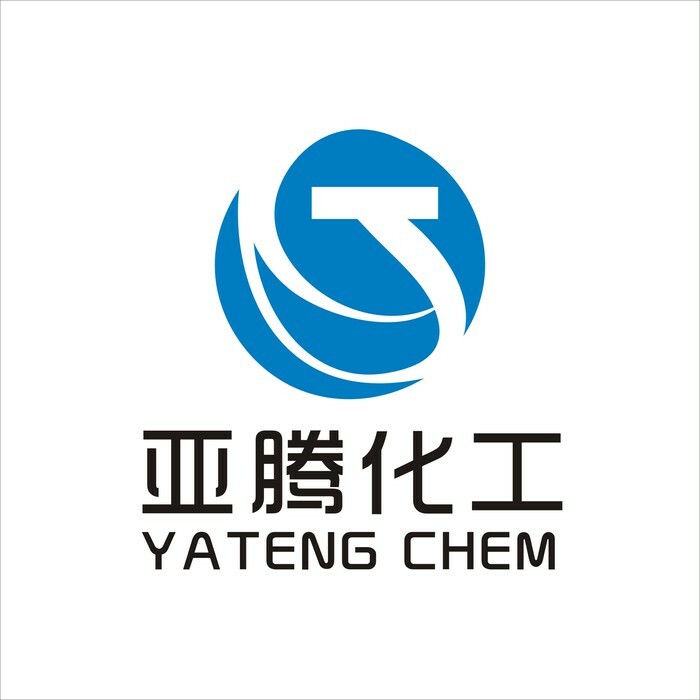 In 1980’s stereo specific Ziegler Natta catalyst are developed which led to stereo specific polyethylene such as linear low density polyethylene LLDPE and high density polyethylene HDPE. Parallel to the new catalysts developments such as metallocenes polyethylene processes are further developing, however the commercial importance of LDPE production with organic peroxides is still continuing. High pressure ethylene polymerization is carried out around 1000-3000bar pressures, ethylene exists in liquid phase and polymerization occurs in solution. Typically temperatures over 200 C is used. Polyethylene is also dissolved in reactor fluid and the reaction system is homogenous. LDPE precipitates after the reaction mass are cooled in post reactor separation vessel. Relative toothier processes the residence times in reactor are very short (<30 seconds for autoclave and <3 min for tubular process) in the polymerization reactor ,organic peroxides decompose to generate free radicals. Ethylene polymerization proceeds addition of ethylene moles. Initiation is achieved by addition of free radicals to ethylene . Propagation proceeds by repeated additions of ethylene. Termination may occur by combining (coupling )of radicals or disproportionate reactions. Chain transfer takes place primarily by abstraction of proton from ethylene or solvent by a macro radical. A low molecular hydrocarbon such as butane, may be used as transfer agent to lower molecular weight. Polyethylene units can grow from 4-5 monomer units to very large molecules that have molecular weights as large as 1 million. The number of ethylene monomer units and hence the molecular weight and MWD of polyethylene molecule can be controlled by the reaction temperature, the type of initiator employed, and the radical concentration. During this step branching occurs usually by backbiting which is the intramolecular transfer of a radical from a terminal to an internal carbon atom. Intermolecular transfer between a radical and an internal carbon of another chain results in long chain branching of LDPE. Where I is an initiator (organic peroxide), P is product, M is a monomer, and R* is a radical of length 1,j, or i. Note that acetylene is present in the reaction. Acetylene is also used as an initiator to increase the rate of reaction. The rate laws for the high pressure polymerization reaction are quite complicated. Ethylene itself decomposes violently under extreme conditions used in high pressure process . The decomposition of ethylene gives carbon, hydrogen and methane. This process occurs over 300 C , localized “hot spots” from the high the high heat polymerization can initiate decomposition. Fortunately , decomposition of ethylene occurs very rare in commercial processes. The role of some factors is simply summarized below. The molecular weight and density are regulated by temperature of polymerization. The molecular weight (MW) and molecular weight distribution (MWD) of polyethylene (practically measured by melt flow index ( MFI)) influences the processability and strength of LDPE. ( all mechanical properties) As the MW of LDPE increases the strength increases, impact resistance increases, brittleness decreases but LDPE melts at higher temperatures. As the long molecules cannot slip over each other easily the MFI decreases and processing becomes difficult. Wide MWD gives easy processing , the MWD of LDPE is preferably measured by gel permeation chromatography but a basic idea could also be obtained by the ratio of MFI in different conditions . LDPE is composed of branched molecules. These branches are mainly two types. Two long chains can come together and adhere at a point. In this case the length of branches is almost the same. This type of branching affects the solution viscosity very much. In the second type the branches are shorter than the main chain. Commercial LDPE types have short branches. Usually some long chains have around 50 short branches whereas other chains do not have branches. The branches affect the crystallization of LDPE. During crystallization LDPE chains come together and fold on each other to form regular lamellar structures. The branched parts inhibit the chains to form regular structure therefore decreases crystallization. When the melted polyethylene mass is cooling the chains began to fold on each other and form regular structures(like crystals) The degree of crystallization affects the density of polyethylene, hardness, rigidity, tensile break point, melting temperature, chemical resistance. If branching increases, the crystallization decreases and the mentioned properties decreases. Also gas permeation decreases. The cooling rate of molten LDPE mass affects the size of crystals which eventually affect performance of LDPE. When the average MW( MFI) of LDPE is the same but the branching is different this has an effect on processibilty. Every LDPE licensor produces the same specified MFI grades but each process has minor different processing characteristics due to branching and MWD. The geometry of reactors and operation conditions ( recipe, temperature, feeding rates etc.) affects the end product properties of LDPE. Cross linking up to some extend increases the mechanical properties of LDPE therefore applied in controlled condition but it makes processing difficult. During high pressure LDPE production normally the cross linking is very minimal and neglect able range but sometimes if molten LDPE has the chance of degrading due to longer residence times or some unsaturated impurities present . These cross linked LDPE fragments mix with LDPE and can create opaque spots called fish eyes. High-pressure ethylene polymerization is initiated by organic peroxides. Selection of the appropriate peroxide is crucial for good processing control and achievement of the expected properties of polymer. Enormous amounts of heat are liberated from the polymerization of ethylene as the reaction is exothermic. Heat is generally removed by cooling unreacted ethylene gas coming from the reactor and recycling the cool gas back to the reactor. Temperatures in the reactor can likewise be mathematically modeled by using an energy balance. But due to complex nature of process this model could not be generalized to all reactors. Organic peroxides are generators of free radicals which unite ethylene monomers and polymerize and also attack the formed polyethylene chains and start branching. Each Organic peroxide decomposes at a specified temperature and rate. The decomposition rate is 0th order reaction, that is ,the rate is constant and related to temperature. The concentration does not affect the decomposition rate. If a lower temperature initiator is used, the amount of ethylene for the same pressure increases therefore the amount of LDPE production could be increased as far as heat transfer of reactor permits. For targeted LDPE different feeding concentration and mixture of peroxide is required. The main aim of LDPE producer is to obtain specific LDPE grade properties and make the polymerization at a constant speed in the reactor in order to use the heat transfer area of reactor efficiently. Organic peroxide initiators are added to the end of ethylene chains and some decomposition products are mixed with unreacted ethylene and solvent stream and recycled.